Great looking vessel, upholstery is in very good condition from being covered when not in use. JVC Marine Bluetooth enabled deck - 4 JVC marine speakers - 2....8" tower speakers powered by a 2000 watt cruch amp and a 12" subwoofer powered by 800 watt Rockford Fosgate amp. - IN boat speakers are 6.5" - 4 life vest - Dock buoys - Cruise speed 35 - Max speed 50 (per owner) - Vinyl on all seats was recently redone - Performance Ski rope ***Comes with a wakeboard and Bimini top. Top is in great condition. *** Trailer has all new rubber including spare Hull has no signs of major damage, little wear and tear from just being used as a boat, but looks great. Tinted windows help reduce the heat. Stock #169899 RUNS LIKE A DREAM!!! NEW STEREO SYSTEM!!! 310HP Indmar ONLY 228 HOURS!!! If you are in the market for a ski/wakeboard boat, look no further than this 2000 Moomba Outback, just reduced to $18,849 (offers encouraged). This boat is located in Phoenix, Arizona and is in great condition. She is also equipped with a Indmar engine that has only 228 hours. Reason for selling is upgrading to bigger boat. Beautiful boat inside and out. There are a few little things if one gets super picky but would most likely oversee, one small nick in the upholstery (pictured) and a few rub marks along the bow cushion. Great condition for a used boat of this age, owners have taken great pride in keeping her clean. Stock #170747 2014 Moomba Mojo. Surf edition with the the 340 surf engine. Manual surf tabs that work great. 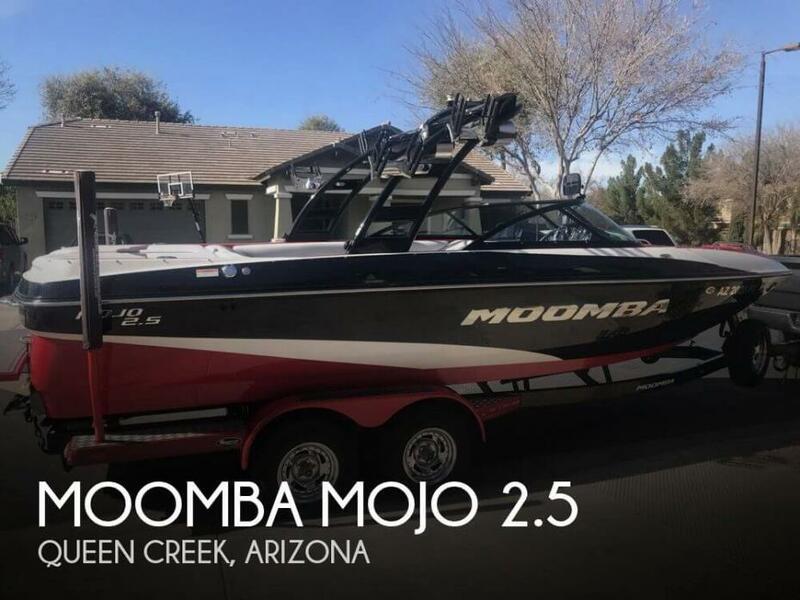 If you are in the market for a ski/wakeboard boat, look no further than this 2014 Moomba Mojo 2.5, priced right at $66,700 (offers encouraged). 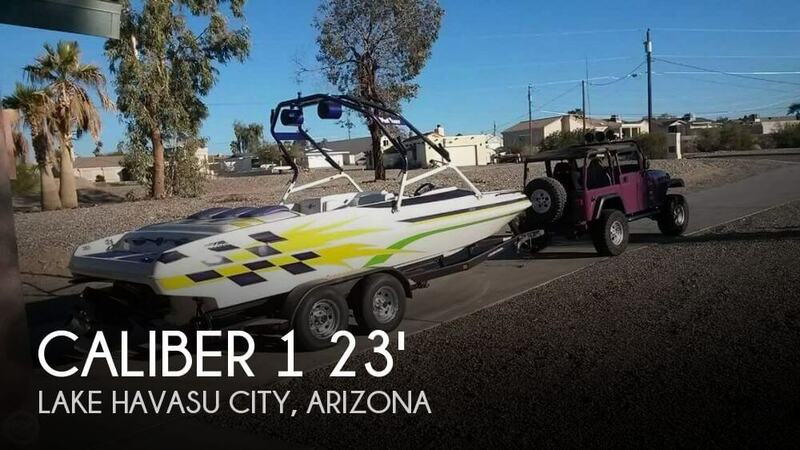 This boat is located in Queen Creek, Arizona and is in great condition. She is also equipped with a Indmar engine that has only 244 hours. Reason for selling is moving up into newer vessel. This boat is in absolutely great condition, and yes only 276 hours on the engine and the hull. According to the Seller: The first year the seller owned the boat he didn't realize the storage area got cold and cracked the original block so the seller paid to have a new block professionally installed. The looks of the upholstery are like new and should for many years to come. There are no known problems with the boat per seller...she's priced right so bring her home while you can. 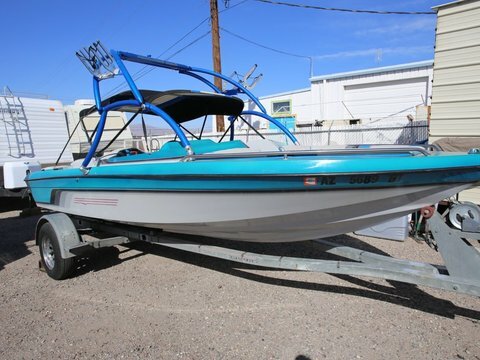 Stock #171153 This a great freshwater ski boat that is in excellent condition. Blue and White. 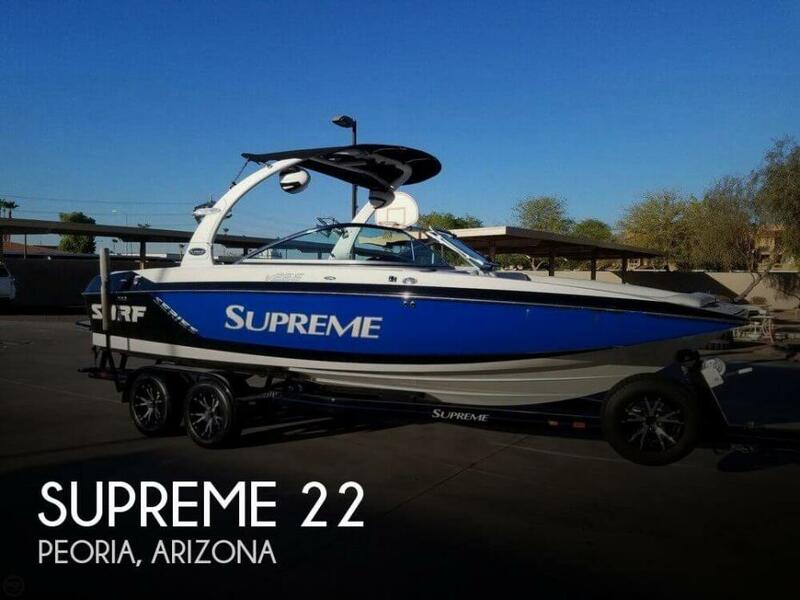 If you are in the market for a ski/wakeboard boat, look no further than this 2014 Supreme V 226, just reduced to $68,500 (offers encouraged). 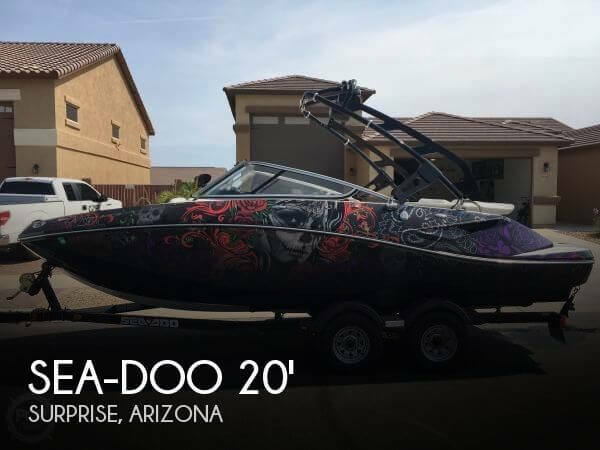 This boat is located in Peoria, Arizona and is in great condition. She is also equipped with a PCM engine that has only 276 hours. Reason for selling is the seller would like a little bigger boat. Hull looks good all the way around. Spacious and well laid-out for a mid engine vessel Roswell Tower equipped with bimini and speakers Lots of extras (knee board, life vests, tow lines, fenders, ski rope). Stock #083672 Perfect condition, well maintained! 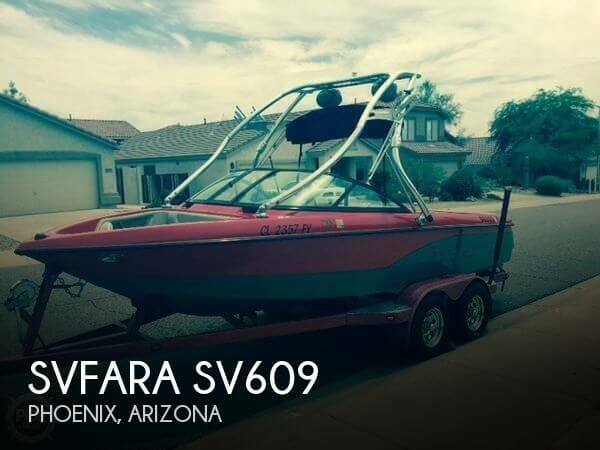 If you are in the market for a ski/wakeboard boat, look no further than this 2004 Svfara SV609, just reduced to $25,000 (offers encouraged). This boat is located in Phoenix, Arizona. She is also equipped with a Mercruiser engine that has only 76 hours. Lightly used 2001 Caliber 1 230 Velocity appears to be in good condition inside and out. Upholstery is in good shape, hull is free of any damage. Dual axle Extreme trailer included. Tower with racks and speakers Stock #092666 Excellent Condition! Freshly Overhauled Outdrive! 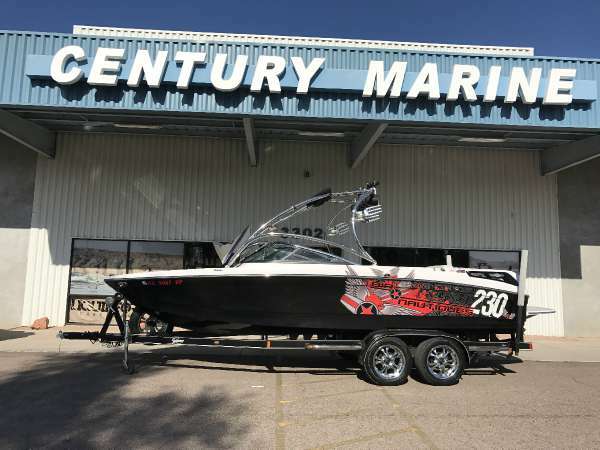 If you are in the market for a ski/wakeboard boat, look no further than this 2001 Caliber 1 230 Velocity, priced right at $26,600 (offers encouraged). 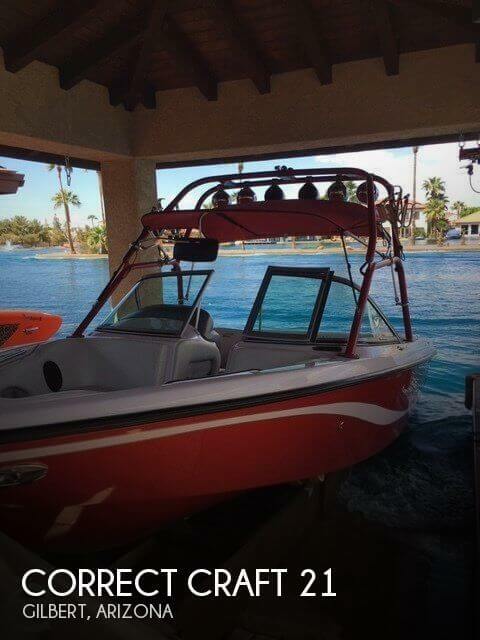 This boat is located in Lake Havasu City, Arizona and is in great condition. She is also equipped with a Mercruiser engine. 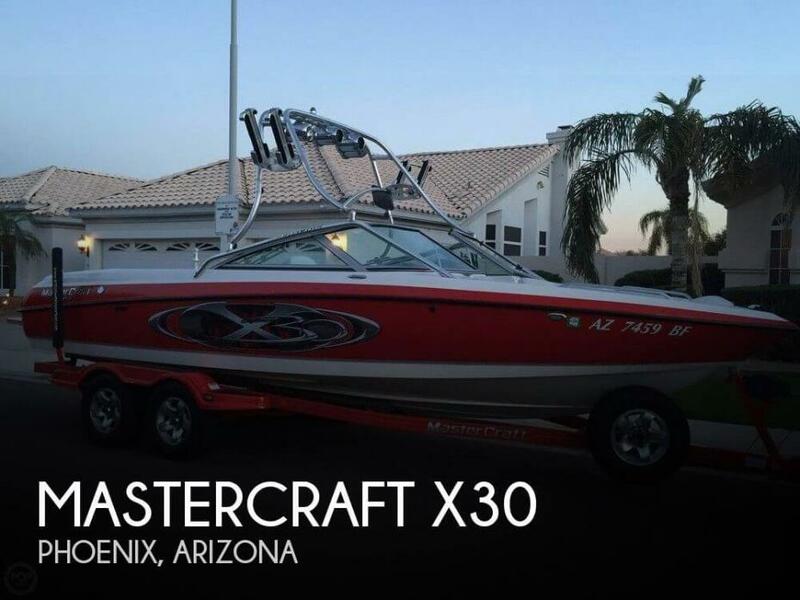 Very nice looking Mastercraft X30, always professionally serviced, all records available. Boat shows little wear for its age. Low hours, only 210, stored indoors and has a boat cover. Hull looks great all the way around, no damage to glass, a few decals are peeling in spots but not very noticeable. Stock #162944 Covered storage maintained every 50 hrs Loaded with upgraded sound heater shower soap buddy etc If you are in the market for a ski/wakeboard boat, look no further than this 2003 Mastercraft X30, priced right at $35,000 (offers encouraged). 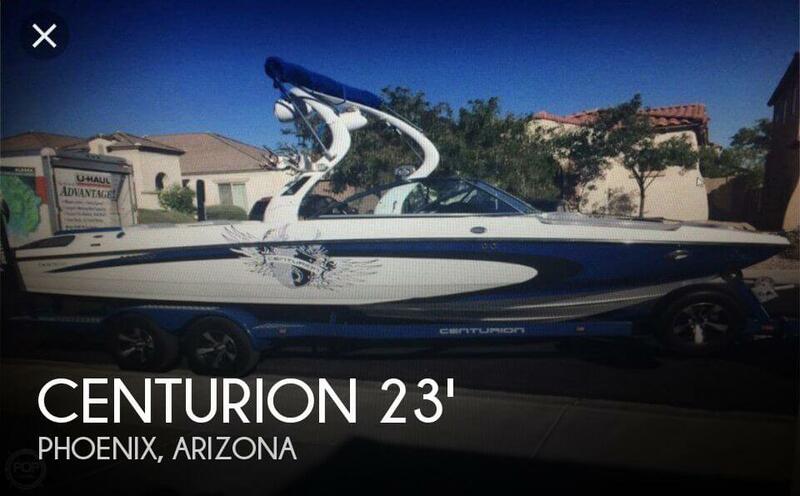 This boat is located in Phoenix, Arizona and is in great condition. She is also equipped with a Indmar engine that has only 210 hours. Reason for selling is kids are grown and gone! time for other activities!. This SV-211 Team Edition is in very good condition inside and out. The upholstery is in great condition throughout. Has new snap-in carpet, looks great. The hull shows extremely well and shines, great looking boat on the water. Stock #157079 2007 NAUTIQUE SV 211 CORRECT CRAFT WAKE BOARD PCM 330 TRAILER INCLUDED If you are in the market for a ski/wakeboard boat, look no further than this 2007 Correct Craft Nautique Air SV-211 Team Edition, just reduced to $38,400 (offers encouraged). 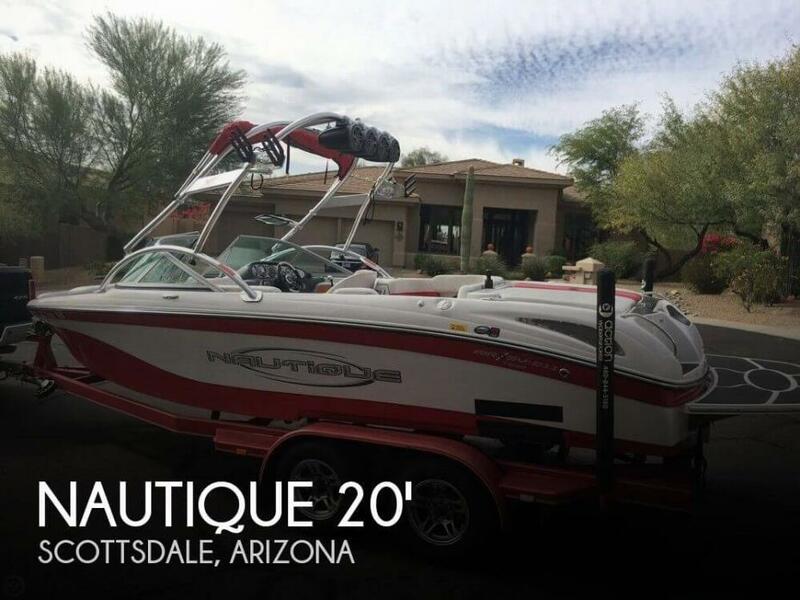 This boat is located in Scottsdale, Arizona and is in great condition. She is also equipped with a PCM engine that has 525 hours. Reason for selling is kids ae grown and into other things on the weekends.. Correct Craft is in very good condition inside and out. All maintenance records included. Interior looks great, no fading, carpet looks very good and very clean as no drinks, no shoes and no food were allowed in boat. Outside shows little wear, Starboard mid hull has some cosmetic spider cracking. Stock #163393 210 Super Air Nautique TE ** LOW HOURS ** GREAT CONDITION ** FRESHWATER USE ** If you are in the market for a ski/wakeboard boat, look no further than this 2005 Correct Craft Super Air Nautique 210 TE, priced right at $35,500 (offers encouraged). 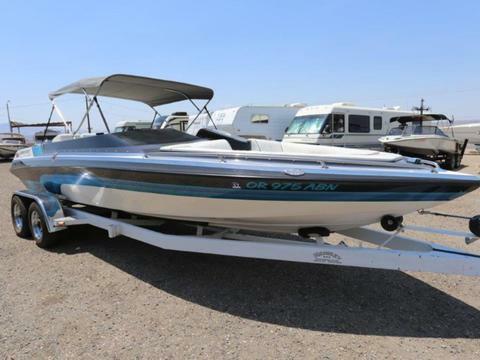 This boat is located in Gilbert, Arizona and is in great condition. She is also equipped with a PCM engine that has only 296 hours. Reason for selling is changing setups, needs a more kid friendly vessel, no carpet.. According to the Owner: This unit only has 104 hours. Sound system works as it should. Starts right up and all gauges work as they should. There are no rips or tears in the interior. The tires have good tread showing minimal use. The only noticeable flaw is a dent in the rear of the left trailer fender as shown in the pictures. Stock #136101 Like New B 52! Only 104 Hours On 400Hp Indmar Raptor! 3000Lbs Ballast! Holds 16 People! Life Vest And Ropes Included! New Batts! Dual-Axle Trailer! 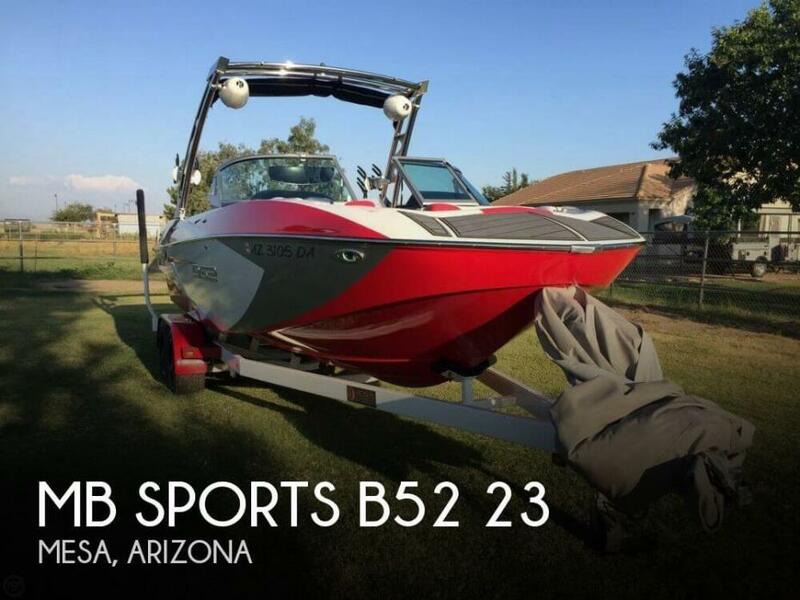 If you are in the market for a ski/wakeboard boat, look no further than this 2015 MB Sports B52 23, just reduced to $81,300 (offers encouraged). 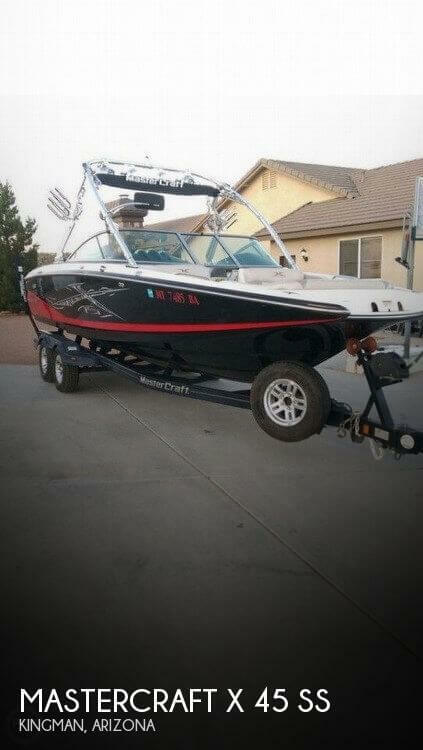 This boat is located in Mesa, Arizona and is in great condition. She is also equipped with a Indmar engine that has only 104 hours. Reason for selling is don't use as much as planned. The Vessel looks to be in pretty good shape overall, with the exception of the interiors sunburn the vinyl is still soft and pliable but has been discolored by the Arizona sun. The gel coat still shines and is not faded or discolored, the plastic fenders on the trailer could use a treatment but still seem to be in good shape. The seller states that the boat is fully operational and runs well. Stock #159868 Make some waves with this beauty powered with a 350 HP Indmar MCX If you are in the market for a ski/wakeboard boat, look no further than this 2007 Mastercraft X 45 SS, priced right at $49,999 (offers encouraged). This boat is located in Kingman, Arizona and is in need of some work. She is also equipped with a Indmar engine that has 367 hours. Reason for selling is not used.